In late 2009 Toyota began an exceptionally large array of recalls on their vehicles. At first the news was kept quiet as it seemed like any other typical recall, but as the number of cars effected increased, and the reports of incidences increased, so do the exposure of the situation. Toyota had no choice but to make the errors of their company known and begin a massive multi-country recall of millions of vehicles. Due to the scope and seriousness of the malfunctions involved, more and more victims of crash, injury, and even fatality are coming to light. If you own a Toyota it is critical for you to understand the details of this recall and what you can do to protect yourself. If you have been injured due to these malfunctions, we at the Hayes Firm can connect you immediately with the proper legal institutions working to get compensation for loss and suffering. In late 2009 it became evident that some Toyota models were experiencing problems with innappropriately sized or installed floor mats. The mats were sliding forward and causing the accelerator to stick in the full-open position. As such, people were unable to control their speed and the results were serious accidents. According to Toyota’s website, they first noted the issue publicly on Sept. 29 2009. Notifications direct-to-consumer began Nov. 2nd 2009, and the full list of effected models was produced on Jan. 27 2010. The complete list brought the number of effected vehicles up to approximately 4.2 million as of latest count. Toyota’s recommendations for handling this problem include removing the existing floormat until you receive a replacement mat and restructured accelerator pedal. If you find yourself in uncontrolled acceleration, they recommend using both feet to compress the brake and turning your engine off to acc mode while pulling off to the side of the road. The second recall began Jan. 21 2010 and involved the braking system on multiple Toyota models. 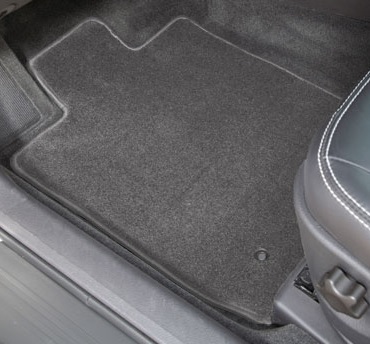 Involving about 2.3 million units at latest count, this recall has the same potential for deadly results as the floor mat problem, but is deeper ingrained in the construction of the vehicles. As a result of the severity of this problem, Toyota has temporarily suspended sales of the vehicles in question. They are developing a solution wherein they bring the troubled models in for recall where they correct the accelerator line problem and also replace the pedal with a new model. On February 8 2010 Toyota issued a third recall for inconsistent brake feel in certain models. This revolves around the ABS, or anti-lock brake system. Some drivers have reported unusual behavior in rough and slick conditions. Approximately 133,000 units have been effected at latest count. This recall will predominantly involve an upgraded software package that will replace the current package on these models. If evidence of this nature continues to mount, victims of Toyota’s negligence will have an even stronger case against the car company. If you or someone you know was a victim throughout these recalls either through the negligence or mistakes of the Toyota company, it is important you find the right legal representation. It won’t due to simply approach a local personal injury lawyer who has no experience in lawsuits of this magnitude. Use our free lawyer consultation service to connect you with the real movements that can hold Toyota responsible.